The very first thing I wrote in my first post to this web site four years ago said: “My favorite part of writing is doing the research. I love to look things up.” That was true back in 1990 when I began working on my first book, Hockey Night in the Dominion of Canada. It remains true to this day. It was never more true than when I was working on Art Ross: The Hockey Legend Who Built the Bruins. It was never more fun either! When I first connected with Art Ross III in the fall of 2005, I had already stumbled onto the fact (via the 1901 Canadian census, which had only recently come on line) that when Art Ross was growing up in Montreal in the late 1890s and early 1900s, his mother was married to a man who was not his father. This other man was Peter McKenzie. was a handsome man of his era. Art and I soon discovered that wasn’t true. Records from the Hudson’s Bay Company (Thomas B. Ross was a fur factor) note that he died in 1930. Yet those same records said that Barney’s widow, Marguerite (Margaret) McLeod Ross – we call her Maggie – had married Peter McKenzie (who was himself a high-ranking HBC official). But given that they were married in December of 1895, Maggie was obviously not a widow! 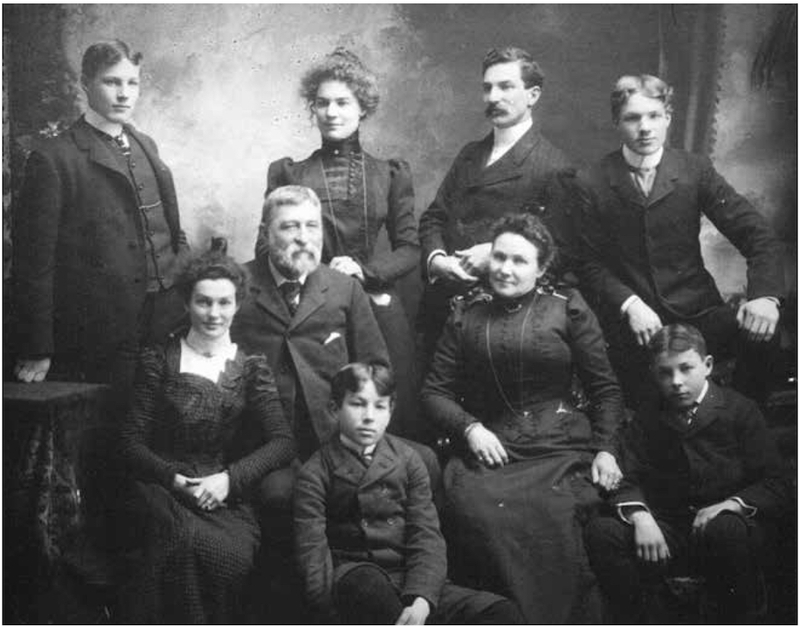 The Ross family circa 1891. The bearded man in the middle is Thomas Barnston Ross. A young Art Ross leans against his shoulder. Both the Ross and McLeod families had been prominent in the history of Quebec’s Saguenay district. Serge had found all sorts of fascinating family history in the Quebec archives. Helen had access to letters written by Maggie herself. 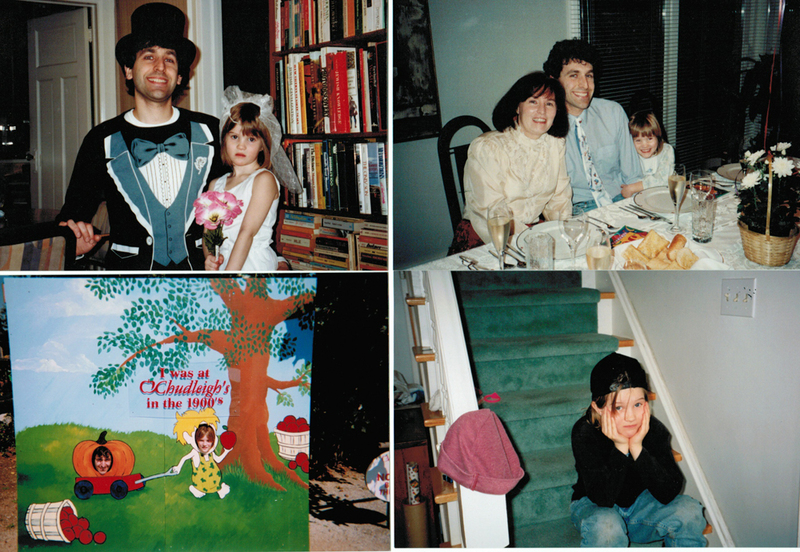 So, eventually, we were able to put together bits and pieces of the story of a marriage that fell apart. in the middle this time is Peter McKenzie. Art Ross sits in front of him. Still, there was one thing we could never determine. Though Maggie and Barney both remarried, had they ever actually been legally divorced? Art and I both came to believe that Maggie had to be a bigamist – though it always seemed odd to me that she and Peter McKenzie moved so well through Montreal society if that was the case. Serge searched even more diligently through Canadian divorce records than I did. (It was very difficult to get a divorce in Canada right up until 1968.) He wrote to church officials and searched through provincial records in Quebec. Nothing! He also concluded that Barney and Maggie must have been bigamists. While I don’t believe I have any emails from Helen stating it so bluntly, I think she felt the same way too. 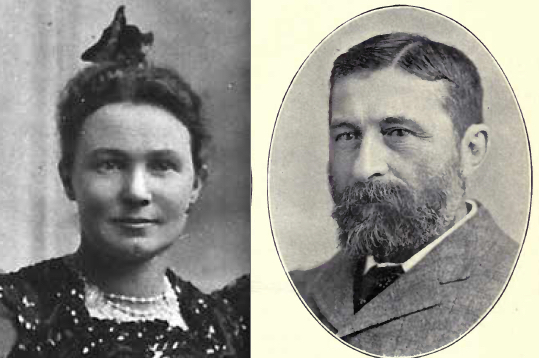 Peter McKenzie married Maggie on December 26, 1895, in Naughton, ON near Sudbury. This is a segment of the record of their marriage from the Ontario Provincial Archives. But enter a new character in our modern Ross family adventure. Darlene Ackerland is a descendant of Charles Ross, another of Maggie and Barney’s 10 children. In October of 2017, she connected with Art III as a DNA match through the Ancestry.com web site. Darlene has been a dynamo in chasing down her family story! Well, last Thursday, Darlene wrote the gang (me included) saying she thought she had found it. The names – as indicated in a hint through Ancestry – were a perfect match … but the location was odd. North Dakota? the archives at North Dakota State University. “What do you all think?” Darlene asked. Now it was time for my research skills, although it turned out to be pretty simple. A few key terms on a Google search, and I discovered that North Dakota in general, and Fargo in particular, was the Divorce Capital from 1866 to 1899. People from all over the world flocked to Fargo for divorces. An entire industry sprung up around it. It wasn’t cheap, but it was fairly easy – and there was even a clever way to get around the three-month residency requirement. People would apparently take a train to Fargo, leave their luggage in a hotel for 90 days, and then return to pay the bill and collect their divorce. 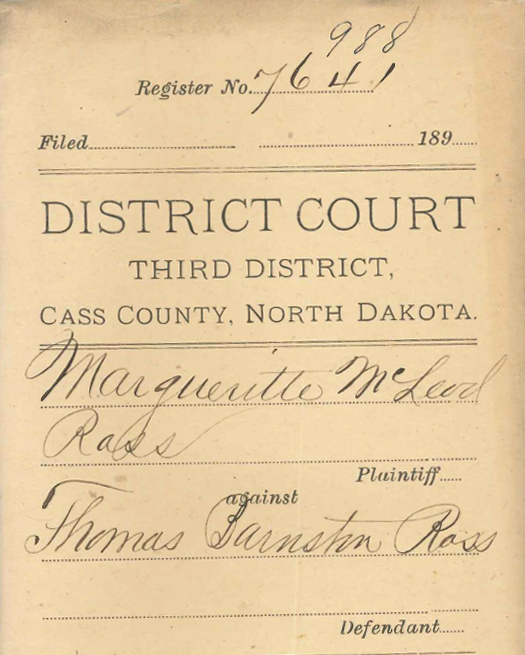 More from the records of the Ross divorce. Serge wrote to North Dakota State University for copies of the divorce proceedings, which arrived as pdfs by email on Monday. It really is “our” Maggie and Barney, with Maggie initiating the proceedings against a reluctant husband. And so it was that in January of 1895, they really were legally divorced. No bigamy. Instead, confirmed drunkenness, cruelty and possibly even adultery. Wow! The NHL Awards were handed out last night, as they have been, in some form or another, since the end of the 1923-24 season. That’s when the Hart Trophy for MVP was presented for the first time. The Lady Byng Trophy, which was first awarded for the 1924-25 season, is the NHL’s second-oldest individual honour. That means there has been an award for “sportsmanship and gentlemanly conduct combined with a high standard of playing ability” (as the league describes it) for longer than there’s been one for the best goalie, best rookie, best defenseman or leading scorer. Still, the NHL has had an odd relationship with this award. “We want a hard, aggressive team with no Lady Byngers,” Conn Smythe is reputed to have said. (And if he didn’t say that exactly, he said many things very close to that while he was rebuilding the Toronto Maple Leafs before the 1946-47 season.) Don Cherry felt the same way when he was coaching the Boston Bruins. It’s said that Jean Ratelle apologized to Cherry after winning the award for the 1975-76 season, although Cherry really did appreciate that Ratelle – who had joined the Bruins from the New York Rangers earlier that season – played a tough game while keeping it clean. 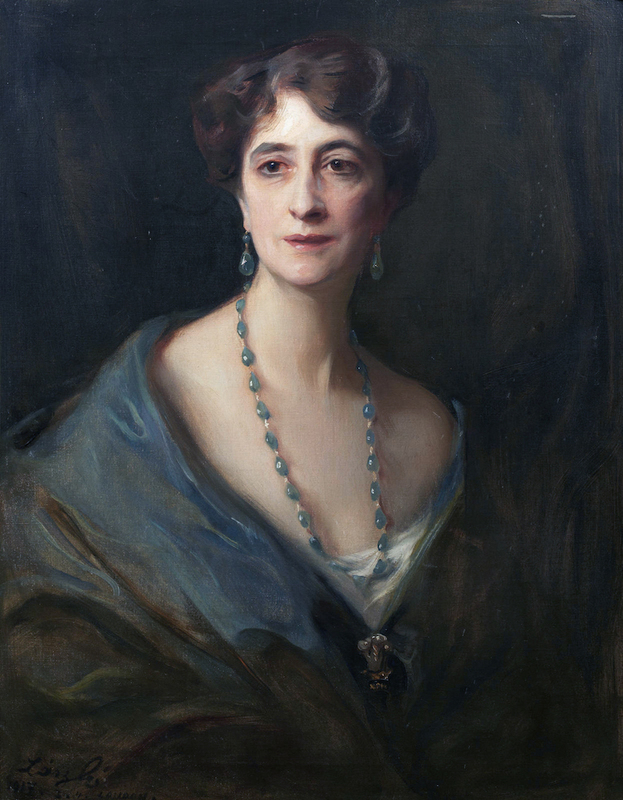 Portrait of Lady Byng, 1917. Though the game was certainly as rough in Frank Boucher’s era as it was at any time it’s been played, we’ll assume that this New York Rangers star of the 1920s and ’30s felt differently when he was given the original Lady Byng Trophy to keep in 1935 after winning it seven times in eight seasons. Regardless of the mocking her trophy has taken, there is little doubt that Lady Byng was a hockey fan. She and Lord Byng attended many Ottawa Senators games when they were living in the Canadian capital while he was Governor-General from 1921 to 1926. Even when they were back in England, the couple continued to follow the Senators on their way to the 1927 Stanley Cup. 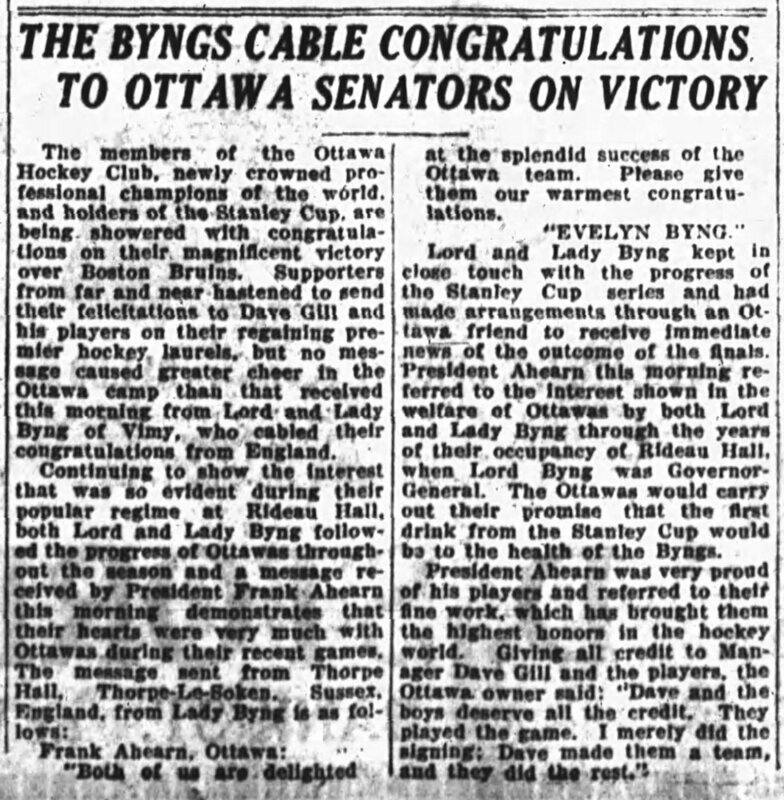 Lady Byng sent a telegram of congratulations after Ottawa’s victory that year. The Ottawa Journal, April 14, 1927. 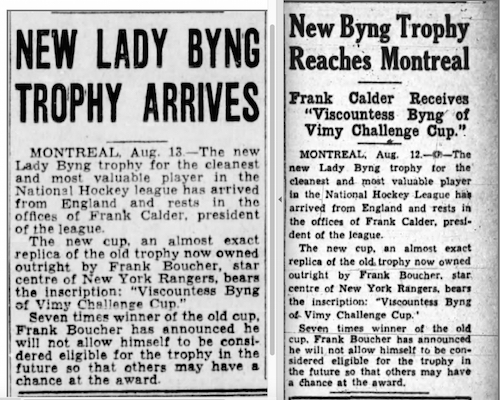 It’s often been written that Lady Byng was so impressed by Frank Boucher that she decided to give him the trophy. Boucher led the NHL in assists three times and was top-10 in points seven times in nine seasons from 1926-27 to 1934-35 while never accumulating more than 18 penalty minutes. However, it’s pretty hard to believe that Lady Byng continued to follow the NHL closely enough from England for the next eight years to have been aware of Boucher’s exploits. That being said, it really is true that she agreed to let Boucher keep the original trophy and donate another. Here’s how it actually happened. Despite having already won the award six times, it was claimed that Frank Boucher had never actually seen the Lady Byng Trophy before winning it for the seventh time in 1935. Shortly after the NHL season ended, Boucher was back in his hometown of Ottawa for a charity game involving local pros from the NHL and the minors. (The original Senators had moved to St. Louis that year.) The game was played on April 16, 1935. 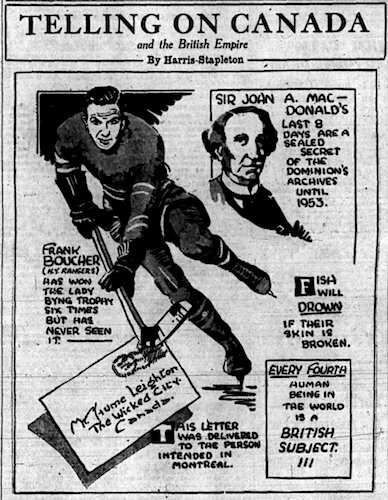 NHL president Frank Calder was there that night and he presented the trophy to Boucher as part of the evening’s festivities. It wasn’t Boucher’s to keep just yet, but the wheels were in motion. The Ottawa Journal, March 16, 1935. Segments of Walter Gilhooly’s column. The Ottawa Journal, April 16, 1935. It’s not clear if Gilhooly was aware of it or not, but Lady Byng was visiting Washington when his letter appeared in the Ottawa Journal. Upon the contents being communicated to her, she got in touch with officials at Rideau Hall and wrote that she would be pleased to see the trophy given to Boucher. 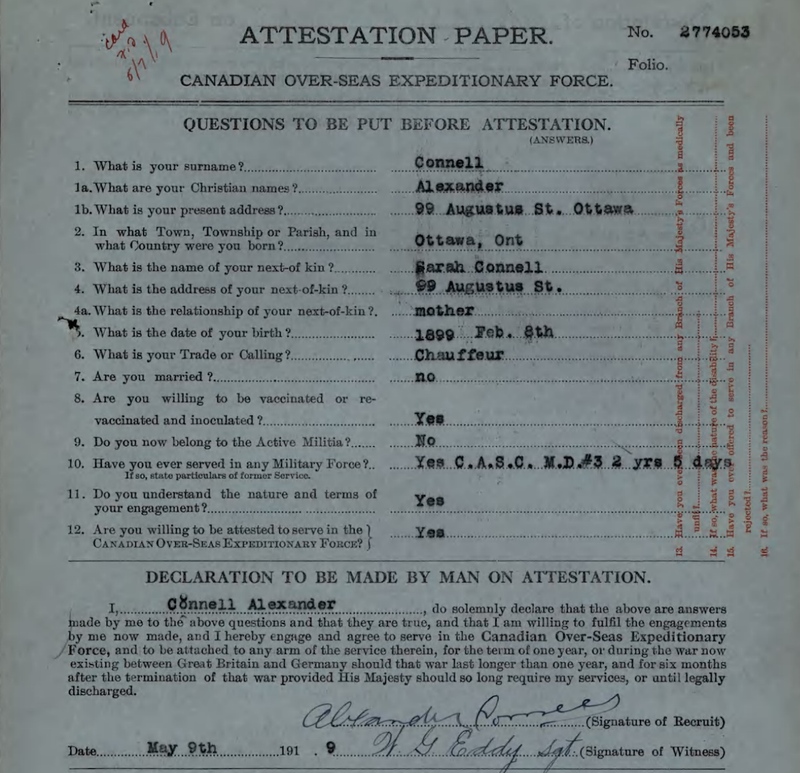 Colonel O’Connor of Government House then contacted Frank Ahearn, the former owner of the Senators who was serving as a Member of Parliament in Ottawa. Ahearn got in touch with Frank Calder, who made it happen. Winnipeg Tribune and the Ottawa Journal, August 13, 1935. Although Calder couldn’t be there himself, Frank Boucher was given the Lady Byng Trophy for his permanent possession on April 25, 1935, at a civic banquet honouring four Ottawa-born players who had just won the Stanley Cup as members of the Montreal Maroons. By August 12, 1935, a new Lady Byng Trophy sent from England had arrived at Frank Calder’s office in Montreal. Frank Boucher may well have won that one too during the 1935-36 season, except that in June of 1935, he wrote to Calder to say that he would like to withdraw from further competition for the trophy. “It’s just the sort of sporting thing that Frank would do,” said Calder. Though there’s no record of it, Lady Byng likely approved of that too. Many of you know that our daughter got engaged recently. The wedding will be near the end of the summer. We couldn’t be more thrilled! Amanda is actually my step-daughter. She is Barbara’s daughter from her first marriage, but she’s been a part of my life since she was 3 1/2 … and I couldn’t possibly love her more. I’d never really seen myself as the father of a little baby. But I had always figured I would get married some day and have children, so jumping in with a child Amanda’s age seemed just about perfect. But, of course, there were challenges. She still had her father, so what would my role be? 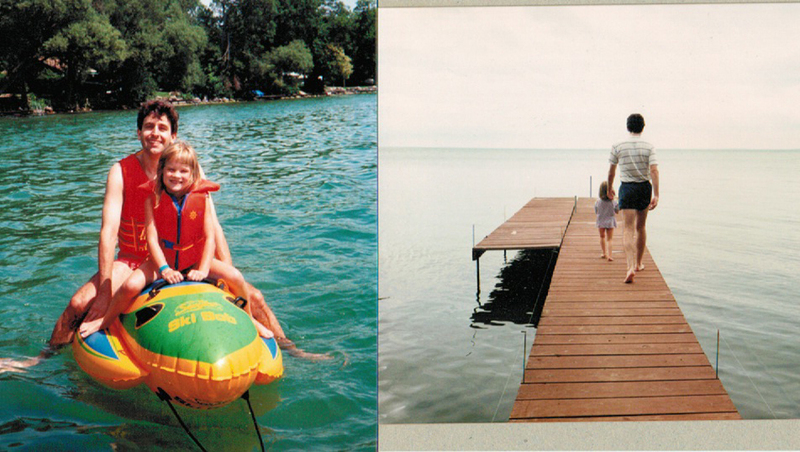 In truth, I know I was a more lenient parent than Barbara really liked. As I saw it (and as we like to say in my family), I often felt that my job was to “try to keep the clubhouse loose.” Didn’t mean I wouldn’t be firm if I had to be, and when I sometimes got told “You’re not the boss of me!” I knew it wasn’t that Amanda didn’t see me as a legitimate authority or thought I was trying to replace her father. The truth was, even as young as 4 and 5, she had a pretty strong sense of herself as a person and felt that she was entitled to a role in the decisions made about her. She was just as likely to challenge her mother that way. And probably her father too. I had grown up in a very close family. My brothers and I bonded with our father (and each other) through sports, but there was a lot more to the relationships than that. Same with Amanda and me. In her younger days, she always went to schools that were closer to her father’s neighborhood. That meant when she was staying with us, I always drove her to school in the morning on my way to work and picked her up at daycare on the way home. We had some of our best times talking to each other on those car rides together. Still, sports would be a special part of my bond with Amanda too. She was fearless playing all sorts of games with my brothers and me at our family cottage. She was never (and still isn’t) much of a hockey fan, but Amanda loved baseball. I took her to her first Blue Jays game when she was about six years old. I have never liked to leave a game before it was over, but I was going to let her make the decisions that day. I didn’t want this to feel like a chore she had to get through. 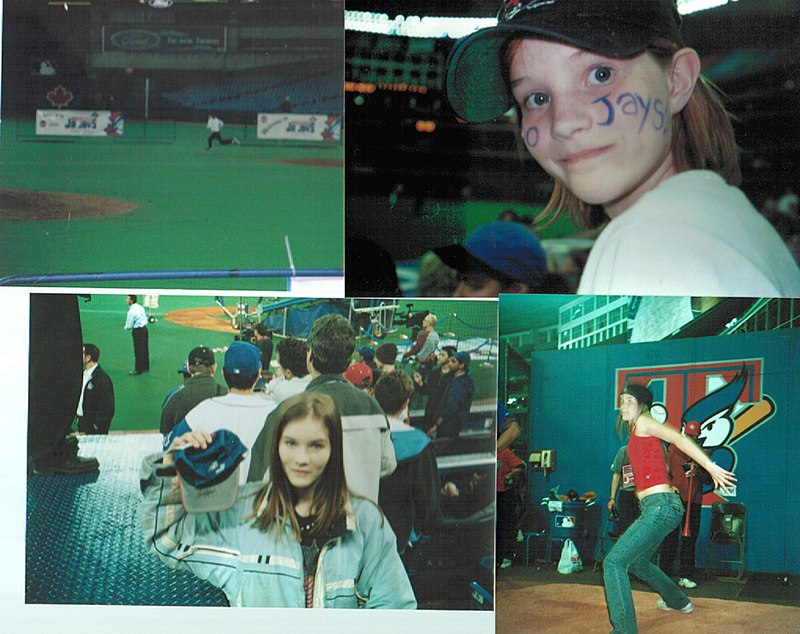 I loved going to games with Amanda, and she was always excited when the Blue Jays won … but I couldn’t help but feel a little bit sad sometimes thinking back to the Glory Days. Over the years that Amanda and I were going to games together, even the most exciting victory tended only to make the difference between finishing, saying, 14 games behind in the standings instead of 15. She never got to see them as a contender when she was growing up, but it was so much fun for me to see how much she got into it all over again – even though she was (and still is) all the way out in Vancouver – when the Jays were finally back in playoff contention in 2015 and 2016. Over the years, Amanda has had a couple of serious boyfriends. Barbara and I have always liked them. The first time we met Brent, it was clear to us that he was crazy about her. Over the last couple of years, we’ve seen how much she’s grown as a person with him at her side. He’s a wonderful man, and they’re so clearly great together. I promised Barbara that this story would be about Amanda, but I don’t think that I can really do it justice without saying that when we told them about Barbara’s cancer diagnosis in March, the way Amanda and Brent initially dealt with it was to grab their gloves and a ball and go outside to play catch and talk about it. How could he not be the one for her! The reason I haven’t been active on this site over the past two months is that in March, my wife was diagnosed with cancer. Since then, my main job has been to help take care of her. I’m lucky that cancer has never really touched me before. I had no idea how all-encompasing the battle is. I have had a few writing assignments during that time, and they have proven to be a welcome distraction. I was glad when the New York Times took an interest in this one. It’s something regular readers of the stories on my web site may recognize, as it combines information from a couple of stories I’ve posted before. The link is immediately below. Alex Ovechkin is closing on in 600 goals. He will become just the 20th player in NHL history to reach this milestone … and there’s a case to be made that he might just be the greatest goal-scorer in NHL history. If not the greatest, he’s certainly one of the greatest. 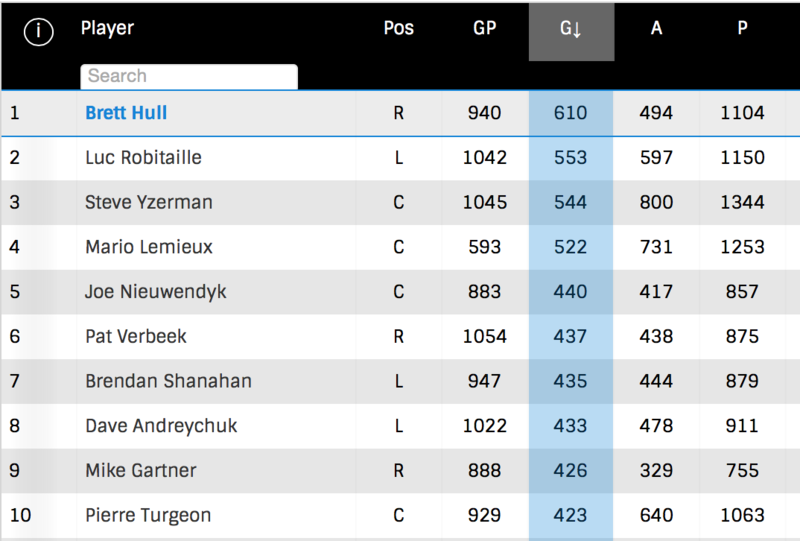 The top 20 scorers in NHL history … through games played yesterday. There are a lot more skillful number-crunchers out there than me. I know there are those who can work the numbers to better reflect how relatively “easy” or “hard” it has been to score goals in the NHL in different eras. For me, I rely mainly on what I see. Yes, of course, the game is faster now than its ever been (but hockey has always been as fast as it could be). 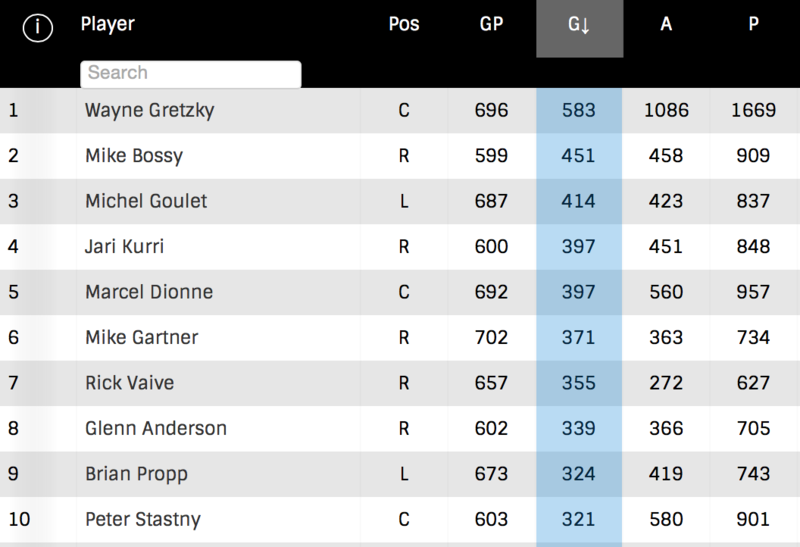 Still, one need only to look at how few players reach 50 goal or 100 points these days to know that scoring is at a premium in the current NHL. So here’s the thing about Ovechkin. Virtually everyone who’s above him on the all-time scoring list played the majority of their careers in an era when goals were a lot more plentiful than they are now. The game was a lot more wide open and goalies were not as well-coached or well protected. Of the players ahead of Ovechkin, only Gordie Howe and Bobby Hull played the bulk of their NHL careers at a time when goals were as hard to come by as they’ve been for most of Ovechkin’s career. In my less-than-scientific approach, I would offer that Ovechkin and Bobby Hull may just be the greatest scorers of all time. And their numbers are remarkably similar. 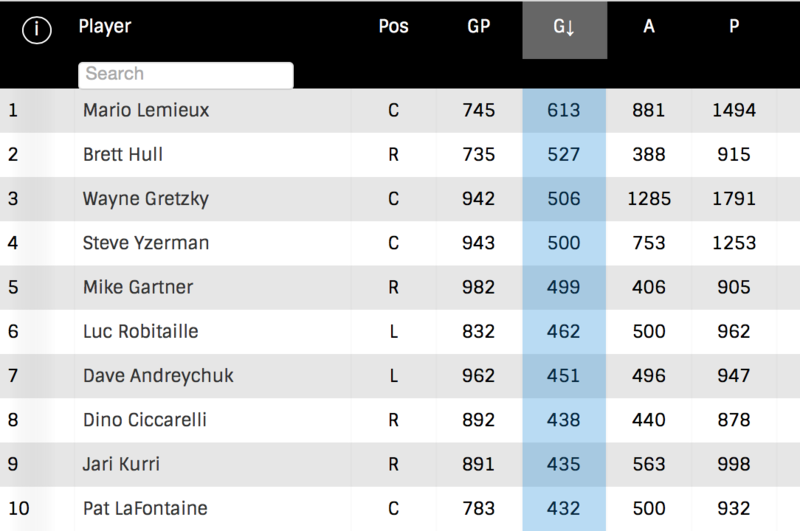 Currently, Ovechkin leads the NHL with 40 goals this seaon. If he holds on (Winnipeg’s Patrik Laine, Pittsburgh’s Evgeni Malkin, and a few others are making it close), this will mark the seventh time that Ovechkin has led the NHL in scoring. That would match Bobby Hull for the most NHL goal-scoring titles. Phil Esposito did it six times, while Wayne Gretzky, Gordie Howe, Maurice Richard and Charlie Conacher did it five times each. Ovechkin also has seven 50-goal seasons, with a shot at eight this year. Only Gretzky and Mike Bossy, with nine each, have more. Here’s a look at some of hockey greatest goal-scorers as they were approaching or just passing the 600-goal plateau. 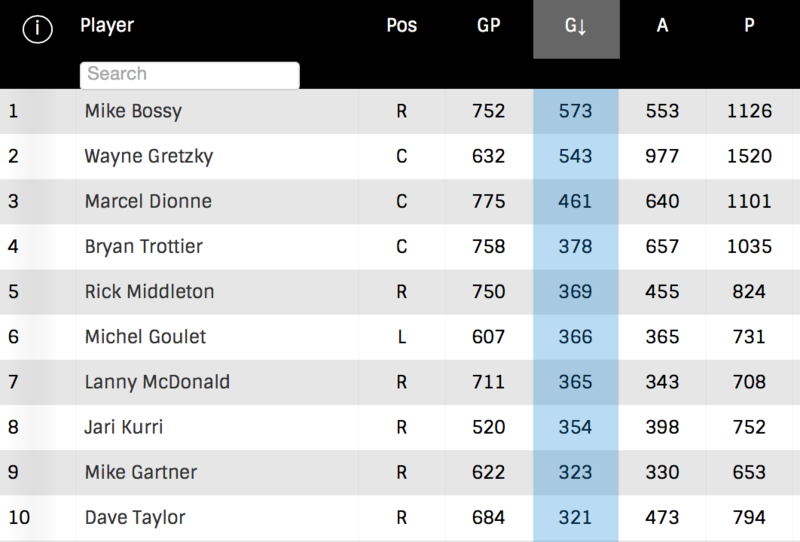 These numbers rank the top scorers during the times of the career for each player in question. For example, the statistics for Wayne Gretzky show the goal-scoring totals for players only from the seasons from the start of Gretzky’s career in 1979–80 through 1987-88 when he reached 583 goals. 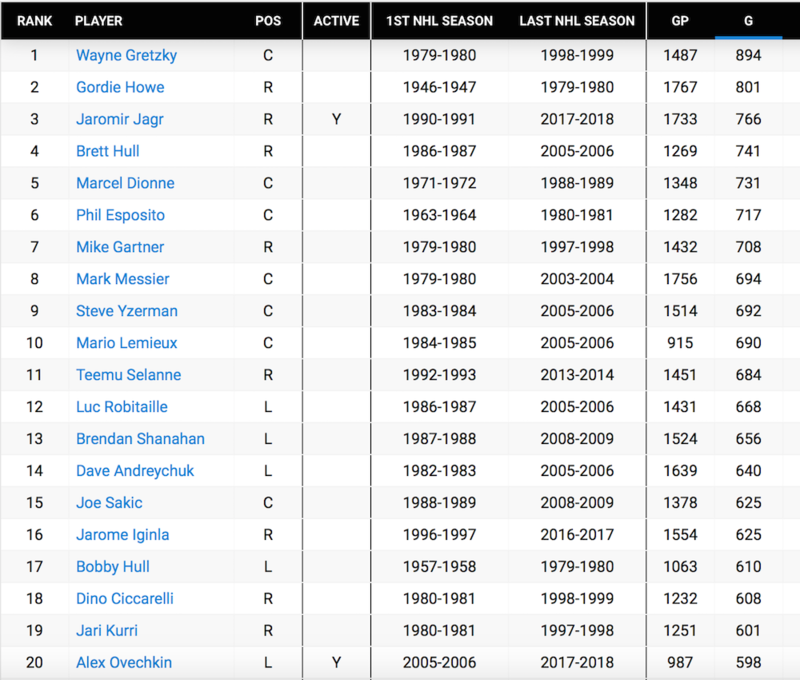 I think these numbers give pretty solid evidence that few players in NHL history have been as far ahead of the rest of the league during their time in the NHL as Ovechkin is today. Wayne Gretzky scored 583 goals from his first NHL season in 1979-80 through 1987-88. He had a pretty good lead on all other goal scorers during that period. the players who’d been active since his career began in 1946-47.
to him among the players who’d been active since Richard began in 1942-43.
there were six others who’d scored over 500 goals since he entered the NHL in 1990-91.
scored his first goal in 1986-87 and reached 600 in 1999-2000. Marcel Dionne entered the NHL in 1971-72 and was approaching 600 goals through 1983-84. Dionne would up his total to 731 over the next five seasons. Guy Lafleur had also been a rookie in 1971-72, but would soon begin a three-year retirement before making a comeback. and had a pretty good lead at the time on some pretty big names from those years. 150+ more games than Lemieux had since his debut in 1984-85.
is the highest in NHL history among players with 200 goals or more. What’s the Deal on Trade Deadline Day? Trade Deadline Day seems a perfect creation for 24-hour sports television and all-sports radio. In Canada, TSN first aired a one-hour trade deadline broadcast 20 years ago in 1998. It’s been giving a major commitment of time to the Trade Deadline since 2001. In our current age of social media, tracking trade rumors has become almost a full-time job for some reporters. Teams’ fears of losing a free agent for nothing help fuel speculation that big names may be on the move, although salary cap considerations can make star-powered trades difficult. But, of course, the NHL Trade Deadline is much older than the Internet and salary caps. How much older? In a year in which the NHL has marked its 100th anniversary, deadline day dates back those full 100 years to February of 1918. In fact, the concept of a trade deadline in professional hockey is older than the NHL, dating back another 10 years to 1908. The first season in Canada in which hockey teams could openly pay salaries to their players was 1906-07. There had certainly been some form of “under-the-table” payment prior to that season, and teams had been known to bring in “ringers” for Stanley Cup games for several years already. But with professionalism, teams openly buying the best talent before big games was giving hockey a bad name. Something had to be done. Toronto, March 2, 1908 and The Ottawa Journal, February 27, 1909. In March of 1908, towards the end of the 1907-08 season, the trustees in charge of the Stanley Cup made an announcement. Beginning the following season, they would no longer consider any player eligible to play in a Stanley Cup challenge if they had appeared on more than one team during that season. Transactions in those days were usually more like free agent signings than our modern concept of trades, but in a sense, the trustees established hockey’s first trade deadline as the day before the start of the 1908-09 season. Despite the trustees’ announcement, Edmonton’s pro team loaded up with ringers for a Stanley Cup challenge against the Montreal Wanderers in December of 1908. Edmonton had won the championship of the Interprovincial Professional Hockey League (a three-team loop with clubs based in Alberta and Saskatchewan) in 1907-08, but – as was common in this era – their Stanley Cup challenge was put over until the start of the next season. Newspapers mocked Edmonton’s signing spree, but the Stanley Cup trustees realized that in a case like this – knowing that contracts in this era only bound a player to his team for one season – it would be impossible and unreasonable to expect Edmonton to use all the same players from 1907-08. In fact, compelling the team to re-sign them all would give the players too much leverage in contract negotiations. As a result, Edmonton’s ringers were allowed to play. 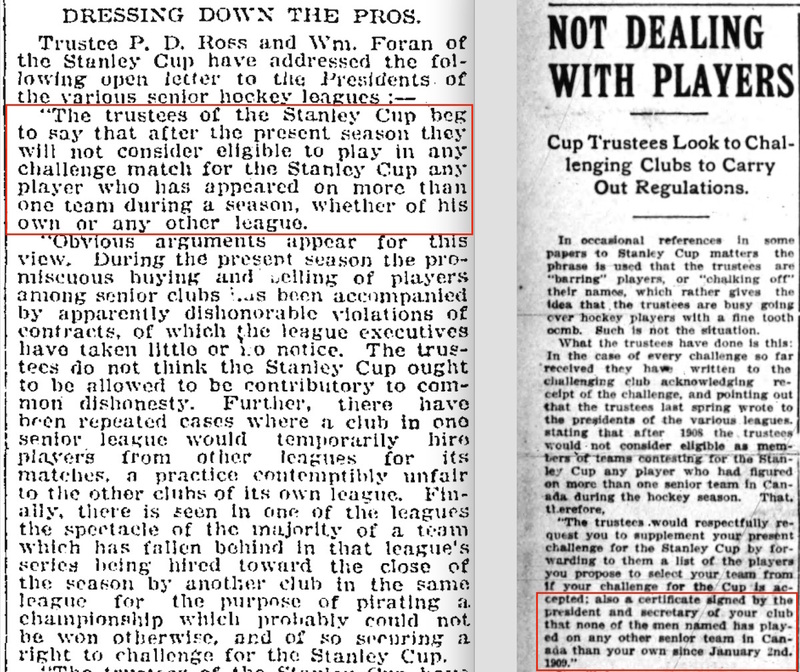 The team lost anyway … and when new challenges for the Stanley Cup came in during the 1908-09 season, the trustees made it clear they would only allow players who’d been acquired by their teams prior to January 2, 1909 – the aforementioned start of the 1908-09 season. Agreement between the NHA and the PCHA, The Winnipeg Tribune, September 5, 1913. The NHA and PCHA agreed to arrange a postseason championship between their two leagues. The teams in both leagues were free to trade or purchase players, but no player acquired after February 15 could be used by his new club. This agreement was ratified by the two leagues in November, and the Stanley Cup trustees soon agreed that the Stanley Cup would be offered as the prize for the championship series. Traded too late to be eligible, The Ottawa Journal, March 12, 1917 and February 27, 1918. The NHA and the PCHA signed a new deal in the fall of 1916, which continued on after the NHL was formed in 1917. In this agreement, the trade deadline was moved to February 1. Players acquired after that date would be allowed to play in league games and playoffs with their new team, but they would not be eligible to compete in the inter-league series for the Stanley Cup. Hockey historians know the February 1 deadline was in force during the first NHL season because Toronto wasn’t permitted to use Rusty Crawford or Jack Adams (who’d both been acquired after February 1) in the 1918 Stanley Cup series with Vancouver. 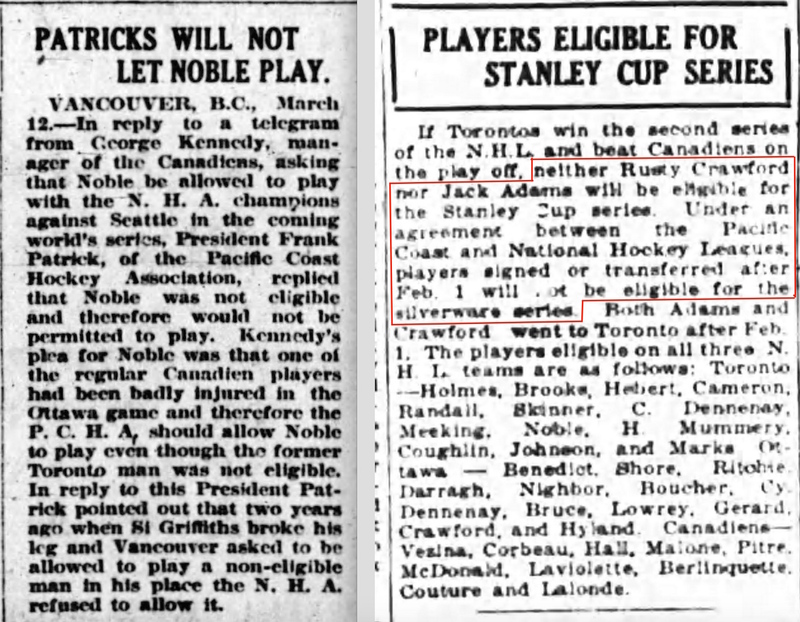 The same rule had made Reg Noble ineligible to play for the NHA’s Montreal Canadiens against Seattle in 1917. Agreement between the NHL and PCHA, dated September 24, 1921. In 1921, the NHL signed a new deal with the PCHA which moved the trade deadline back to February 15. That date was maintained when a new agreement was signed with the Western Canada Hockey League in 1925. Agreement between the NHL and WCHL, dated June 12, 1925. The collapse of pro hockey out west in 1926 left the NHL as the only league competing for the Stanley Cup in 1926-27. 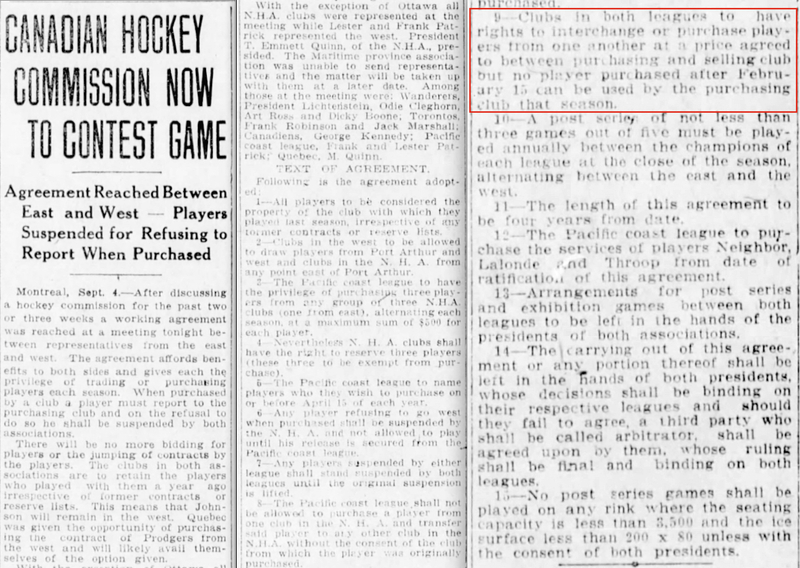 The first mention I could find in newspapers of an NHL-only “trading deadline” doesn’t appear until 1935, but nothing about that story gives any indication that this was a new rule. So it seems very likely that the NHL had continued to enforce a trade deadline as a way to prevent contending teams from loading up on star players from weaker teams before the playoffs. February 11, 1935 and Toronto’s Globe and Mail, February 16, 1939. Stories about the “trading deadline” continue to appear during the 1940s and ’50s, and become more prominent in the 1960s. (The Maple Leafs’ big deal for Andy Bathgate in 1964, and Toronto’s trade of Frank Mahovlich in 1968, were both made just before the deadline.) Over the years, the date jumped around as seasons got longer, but it seems that Trade Deadline Day has been part of the NHL since the very beginning. Well, Canada is still alive for a medal in men’s hockey after a 1-0 quarterfinal win over Finland. With Germany upsetting Sweden, the path to a gold medal matchup against either Russia or the Czechs is a little bit easier. And on the women’s side, it’ll be Canada against the USA tonight in what promises to be a great game for gold. 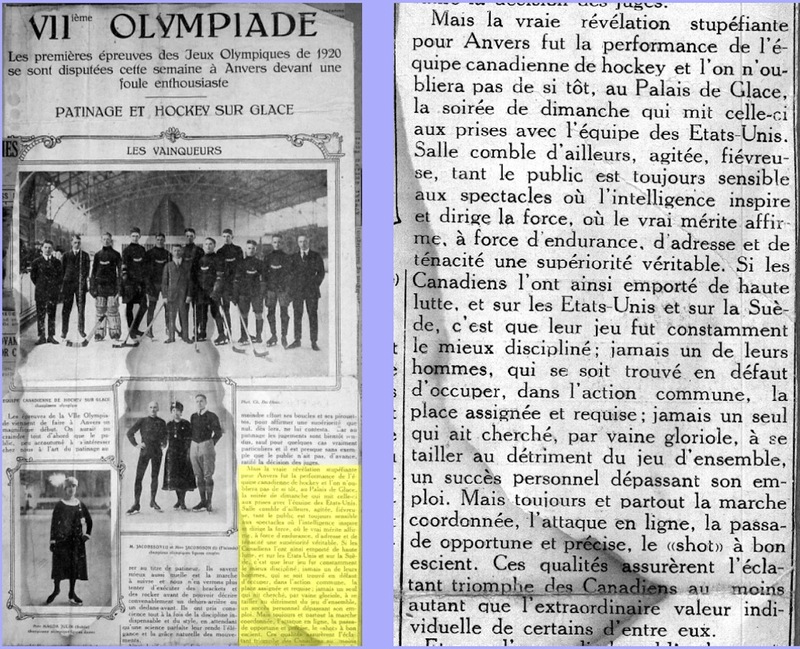 The history of hockey at the Olympics predates the first Winter Games, which began in Chamonix, France in 1924. The first Olympic hockey tournament was held as part of a Spring Sports Festival prior to the 1920 Summer Olympics in Antwerp, Belgium. Antwerp had bid to host the 1920 Olympics back in 1912, but no decision was reached before the outbreak of World War I. Shortly after the Armistice on November 11, 1918, the International Olympic Committee offered Antwerp the first choice to hold the Games in 1920 if the Belgians still wanted to do so. The move was seen as a way to honour the suffering of the Belgian people during the War. Belgium accepted. 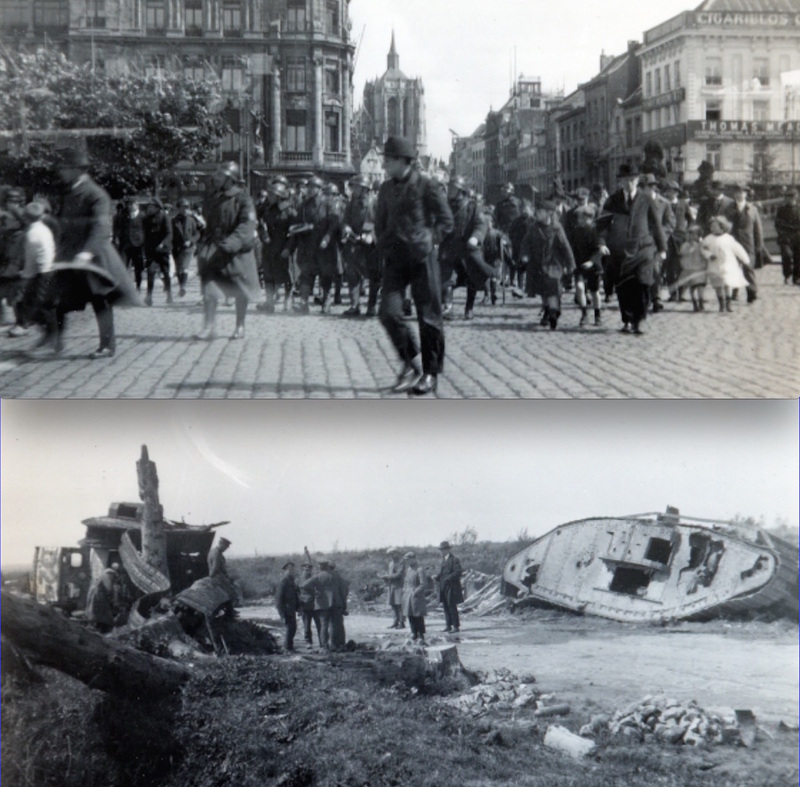 Antwerp was still full of soldiers in 1920, but the city was mainly in tact. The scene was much different when the Winnipeg Falcons, many of them war veterans, were given a tour of the Belgian countryside. All pictures are courtesy of Brian Johannesson, whose father Konnie Johannesson played for the Falcons. For more stories and images visit WinnipegFalcons.com. 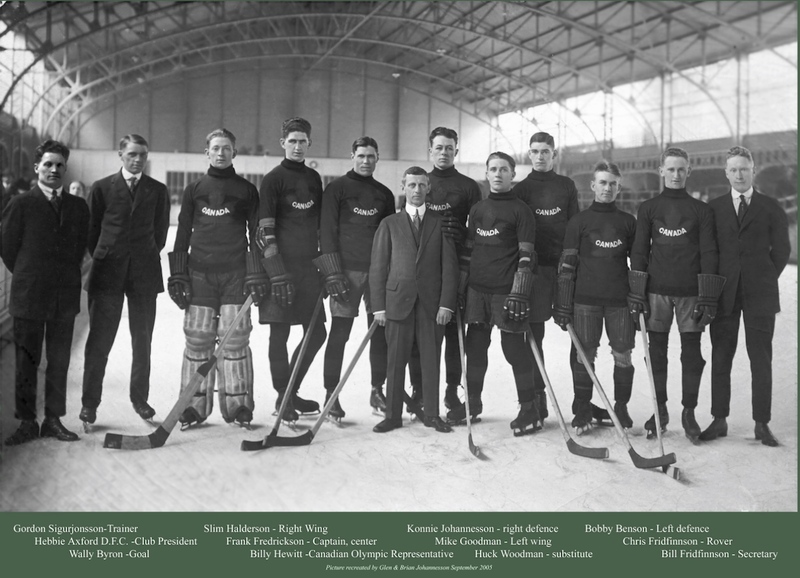 Canada was represented at the 1920 Olympic hockey tournament by the Winnipeg Falcons, winners of the Allan Cup as the country’s senior amateur champions. The United States sent an amateur all-star team made up of players from Minnesota, Pittsburgh and Boston. A few of the Americans were born and raised in Canada, but they’d played in the States for several years and become citizens after serving in the U.S. Army. National teams representing Belgium, France, Sweden, Switzerland and Czechoslovakia were also at the Antwerp Olympics, but everyone knew the gold medal would be decided when Canada faced the United States. Due to the luck of the draw and an unusual tournament format, this occurred in a semifinal game on April 25, 1920. The big game (as all the games were) was played at Antwerp’s Palais de Glace. It was a beautiful arena, but it hadn’t been built for hockey. 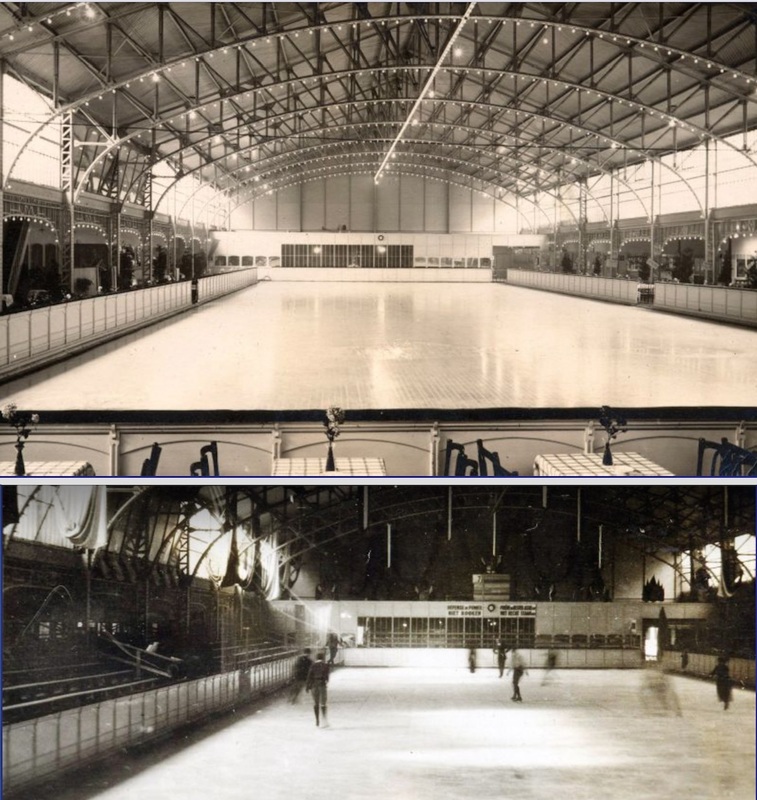 The ice surface was only about 185 feet long and 59 feet wide. It was normally used for pleasure skating and it’s unclear whether or not the arena actually had seats. It did have tables and chairs, and could accommodate about 1,600 spectators – as well as an orchestra! Canada versus the United States was going to be the greatest hockey game ever played in Europe, and it was a tough ticket. W.A. Hewitt (father of Foster) was the sports editor of the Toronto Star and an officer of the Canadian Amateur Hockey Association (among many other jobs). He served as the honorary manager of the Falcons in Belgium, and sent special reports on the games to the Winnipeg Free Press. “The game proved such an attraction,” wrote Hewitt of the Canada-U.S. matchup, “that the Palais de Glace tonight was unable to accommodate one-tenth the number of people who sought admission. “The streets in the neighborhood of the rink were crowded from 6 o’clock, although the game was not advertised to start until 9 o’clock. The doors were finally closed about an hour before the match…. 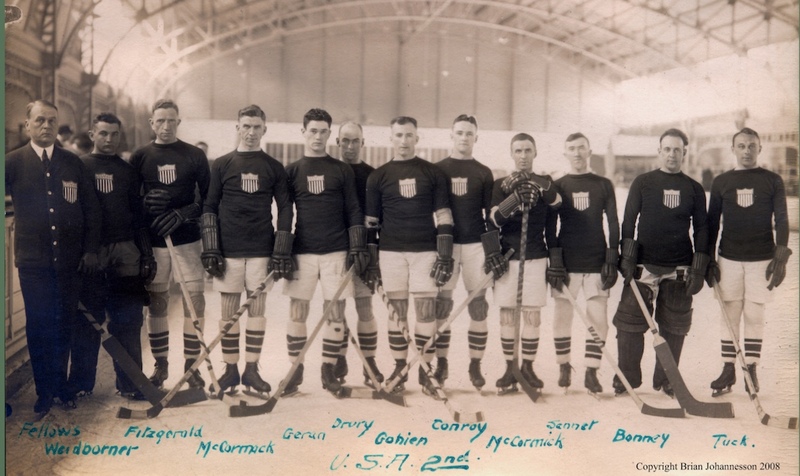 Special squads of soldiers were employed to get the players into the rink … [and g]entlemen in evening clothes on the outside implored the players to allow them to carry their skates and sticks so that they could obtain admission. teams looked like. They’re dressed more like soccer players than hockey players. The goalie is wearing a shirt and tie under his white sweater. A recap of figure skating and hockey from the VIIth Olympiad in Antwerp in 1920. 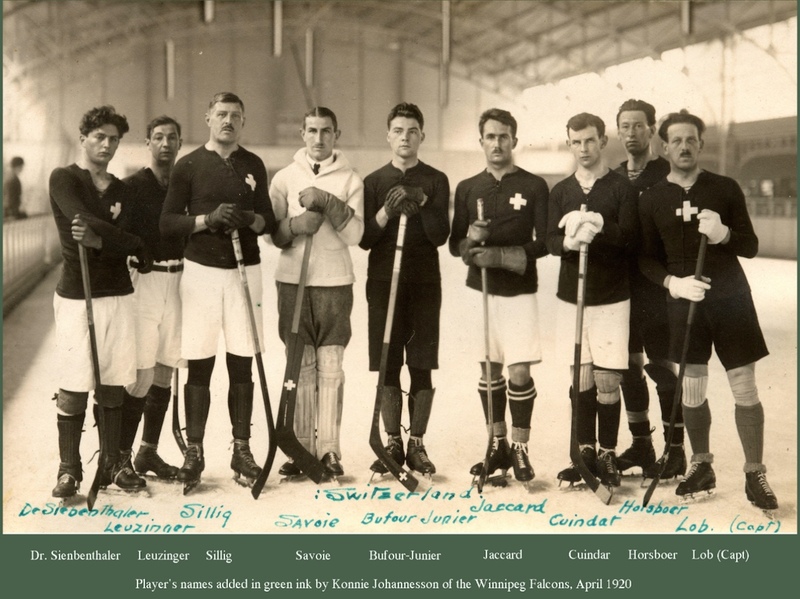 In a very real way, the skill and sportsmanship the Winnipeg Falcons displayed in Antwerp in 1920 helped lay the foundation for the international game that hockey would become. Happy Valentine’s Day everyone … but we’re talking baseball today. Pitchers and catchers have reported to spring training, so no matter what the groundhog said (and, around these parts, I’ve always wondered why six more weeks of winter isn’t an early end) we know that summer can’t be too far away. Still, the baseball news is sad for Canadian fans. 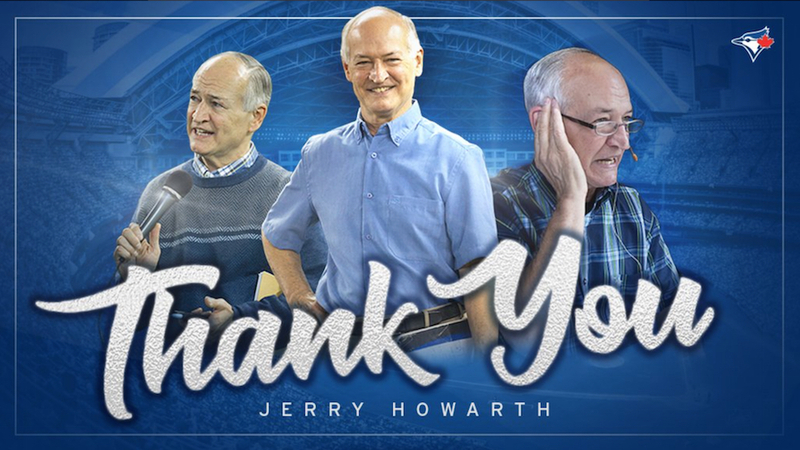 After 36 years at the microphone for Toronto Blue Jays baseball on radio, Jerry Howarth announced his retirement yesterday. His health has not been great in recent years, and he just didn’t feel his voice could hold up over the long season anymore. I was not a baseball fan before Toronto got its team in 1977. Tom Cheek, and later Jerry Howarth (he joined the team in 1981) certainly did their part to spread the Gospel of the Blue Jays to my brothers and me. My parents had loved the minor-league baseball Maple Leafs and we quickly came to love the Blue Jays in my family. All those 100-loss seasons in the early days didn’t dampen our enthusiasm at all. It was fun (and inexpensive!) to take in a game at the ballpark – even if Exhibition Stadium wasn’t much of a ballpark. Even in those early days, you could find a radio tuned into the game in almost every room in our house. It’s funny, but here in Owen Sound, I can usually get the games on my car radio from anywhere in town … until I turn onto my own block. Can’t get the games on the radio in the house at all. So, I watch on television. I’m not the first to say this, but baseball is a perfect game for radio … and I haven’t been able to listen to Jerry as much as I’d have liked to in recent years. Now, I won’t get that chance anymore. 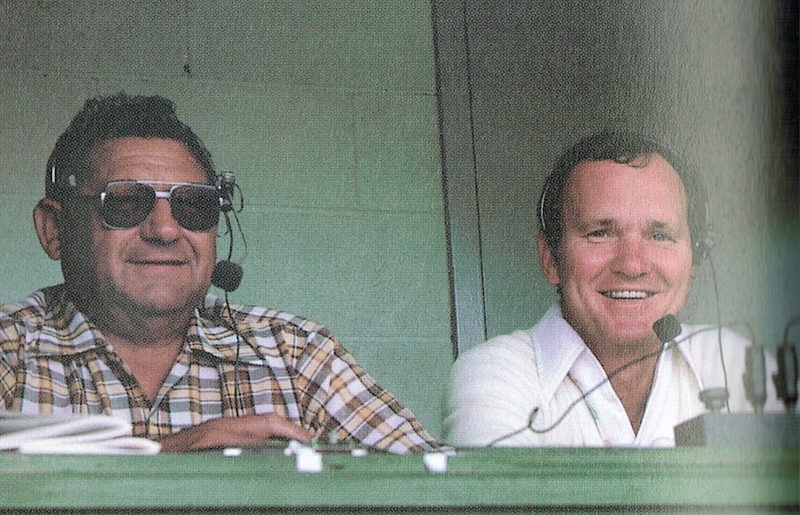 My father took this picture of the Blue Jays’ first broadcasting duo, Early Wynn and Tom Cheek, at a spring training game against the Phillies in Clearwater, Florida, in March of 1980. It seems that no one has anything but nice things to say about Jerry Howarth. He’s widely regarded as a lovely person. I haven’t had a lot of experiences with him, but the ones that I’ve had certainly confirm that. When I worked for the Blue Jays ground crew from 1981 to 1985, I always tried to hang around Tom and Jerry as much as I could get away with when they were on the field before games. I loved to listen to them telling stories. A few years later (it must have been the summer of 1987), when I was working for a small company called Digital Media, I was able to arrange for us to get the occasional press pass. The very first time I was on the field as a “reporter,” I re-introduced myself to Jerry. I doubt that he really remembered me, but he immediately marched me up to Jesse Barfield and set up a quick interview for us. He certainly didn’t have to do that, but that’s the kind of person Jerry Howarth is. In 2001, when we published The Toronto Blue Jays Official 25th Anniversary Commemorative Book, I had a chance to be in the radio broadcast booth during a game to talk about the book. It was a thrill to be on the air with Tom Cheek, but I remember that when I was done, Jerry asked me quietly about my favourite parts of the book. I told him that while the Pennant-Winning and World Series years of 1985 to 1993 had, of course, been fun, my favourite story was something smaller. It came under the category titled “Oddities and Others” and was the story of the final game of the 1982 season. 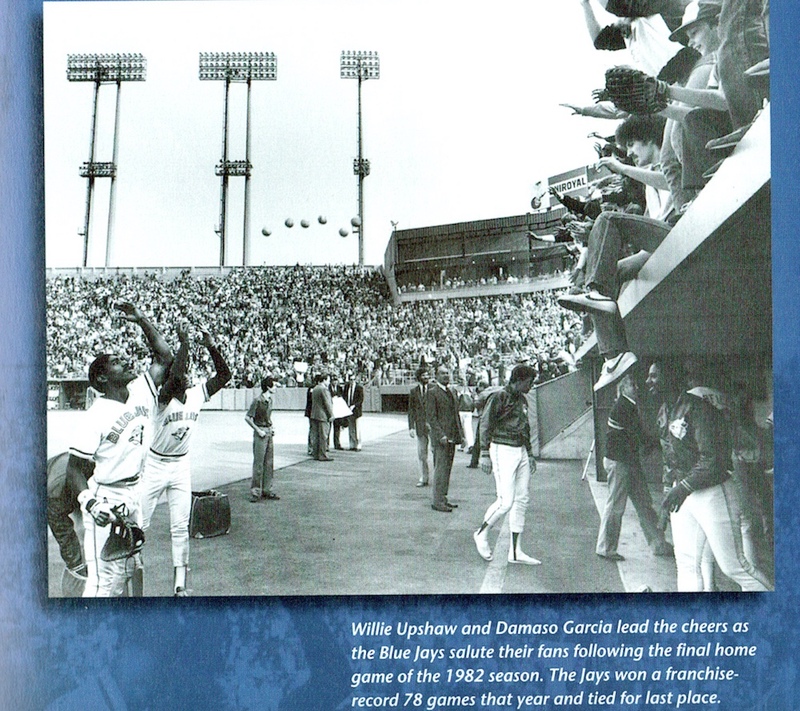 Until the baseball strike of 1981, even a diehard fan like me knew that the Blue Jays were terrible. Still, the team played better in the second half of 1981 and, with players like Willie Upshaw and Damaso Garcia, the outfield of George Bell, Jesse Barfield, and Lloyd Moseby, and platoon partners Rance Mulliniks and Garth Iorg and Ernie Whitt and Buck Martinez, we finally got a glimpse of the future in 1982. The team was 44–37 in the second half, and with a series-sweeping win over expansion cousins Seattle on the final day of the season, the Blue Jays finished with nine wins in their last 12 games to escape last place for the first time in franchise history … sort of. 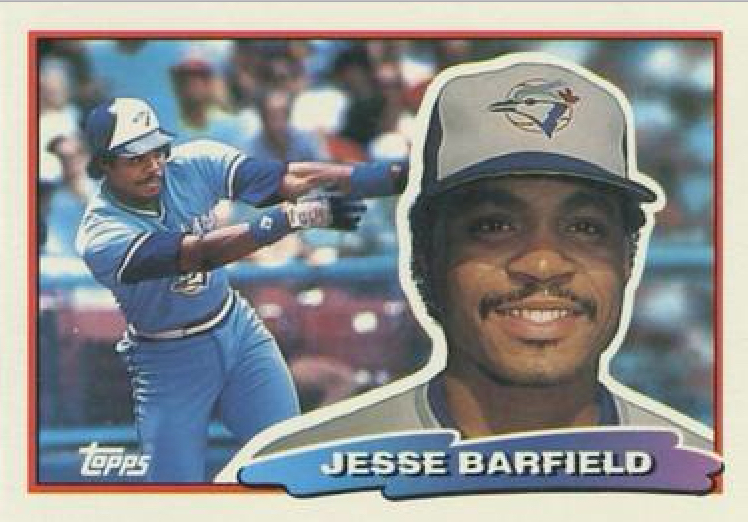 With a record of 78–84 in 1982, the Jay actually finished tied for sixth with Cleveland in the seven-team American League East. I can remember fans chanting “We’re Number Six!” in the stands after the game, and “Bring on the Indians!” knowing that we would beat them in this theoretically tiebreaking playoff and escape last place for real. Attendance was only 19,064 (in my memory, the crowd was bigger … but not much) yet everyone stuck around to the end. When Jim Clancy finished up his complete-game victory, he was cheered off the field and threw his hat and his glove into the seats. Alfredo Griffin brought a bag of balls out of the dugout, and he and his teammates began tossing them to the fans too. There would be bigger celebrations in the years to come, but that one always felt special to me – a treat for the real fans. I can recall Jerry smiling as I reminded him off it. I don’t know what (or if) he remembered of it personally, but he certainly seemed to appreciate the story. Best of luck wherever the future takes you, Jerry. Your retirement certainly marks the end of an era. Quick trivia question for you. Which goalie holds the NHL record for lowest career average? No tricks. It’s not someone who played one career game and managed a shutout. Is it Georges Vezina? George Hainsworth? Terry Sawchuk? Jacques Plante? In 12 seasons between 1924 and 1937, Connell posted a career average of 1.91. He also set an NHL record with six straight shutouts during the 1927-28 season in a scoreless streak that stretched 460 minutes and 49 seconds. It’s true he only played 417 games in his career (a top goalie today would reach that number in about seven seasons) and that he played during the lowest-scoring era in hockey history with only limited forward passing for some of that time. Still, somebody has to be the lowest, and Alec Connell is it. Tomorrow marks Connell’s birthday. (His given name was Alexander, with no apparent middle name, but whether he actually went by Alex or Alec is a whole other debate!) He’d be turning 118 years old. Probably. He might actually be turning 119. Or maybe only 116. I know… You’ve heard these things from me before. Just recently, I wrote a little bit about Johnny Bower’s birthday mystery and I’ve written entire stories about the birth dates of Art Ross and King Clancy. But I hope you’ll indulge me one more time. NHL records show that Alec Connell was born on February 8, 1902. That’s what the Hockey Hall of Fame has too. It’s what we had in the two editions of Total Hockey back in 1998 and 2000. I don’t have access to any of the earliest NHL Guides, but I think that’s a date we inherited from way back. My guess would be that at some point in the mid 1930s, when it seems the first efforts were being made to catalogue this type of information, Connell decided it might be advantageous to be a few years younger. 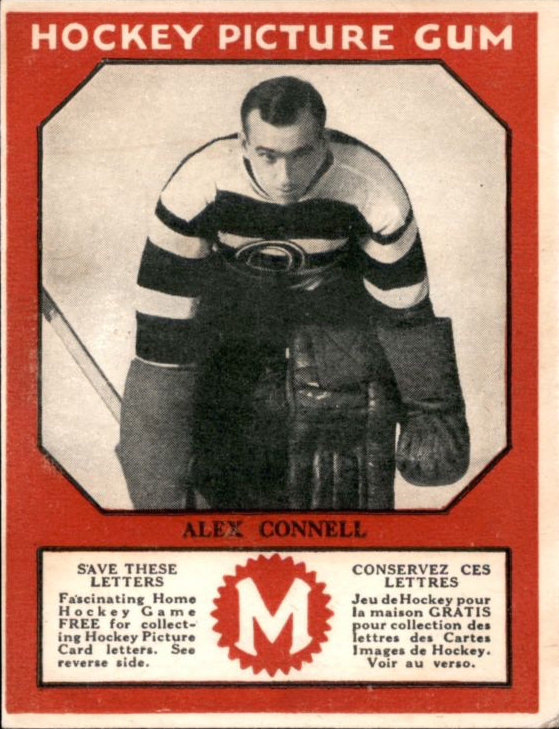 It’s said that Connell didn’t begin to play hockey until he was in the Canadian Army and training at Kingston, Ontario, during World War I. He couldn’t even skate, which seems odd for a boy of his era who grew up as part of an athletic family in Ottawa. Still, with his prowess at lacrosse it was thought he’d be a natural at hockey, and being a non-skater, who was also a catcher in baseball, goalie seemed the best position for him. By 1920, Connell was back in Ottawa and would begin to put up impressive numbers with various teams in the amateur City League. In 1924, he turned pro with the Ottawa Senators and beat out Joe Ironstone (one of pro hockey’s first Jewish players) with an impressive training camp and a strong performance in two preseason games against the Calgary Tigers of the Western Canada Hockey League. in the sub-headline and a cute cartoon in the next day’s Ottawa Journal. Young and skilled, no one probably cared much about Alec Connell’s age at that point … and if someone had asked him, he might not have been sure of it himself! One thing seems pretty obvious, though. He was NOT born in 1902. 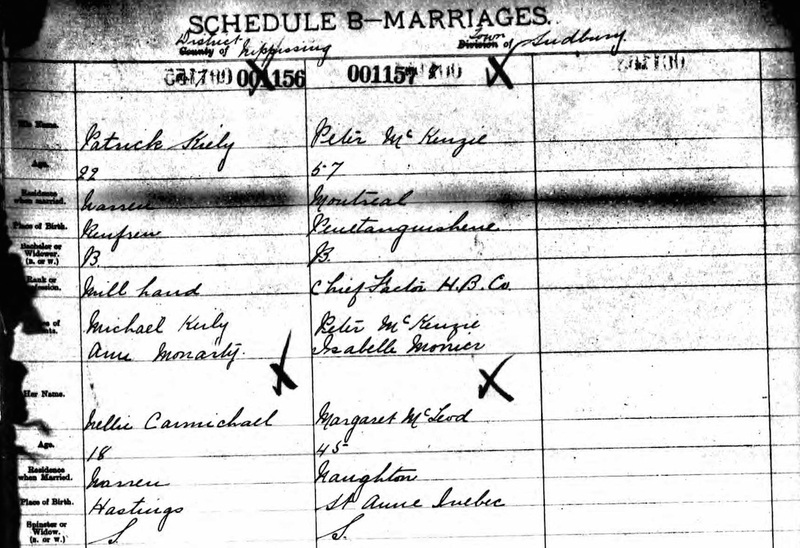 Connell must have been born by 1901 because he appears in the Canadian Census that year as the youngest of seven children in an Irish Catholic family. His birthdate is listed as 8 Feb 1900 and his age as 1. 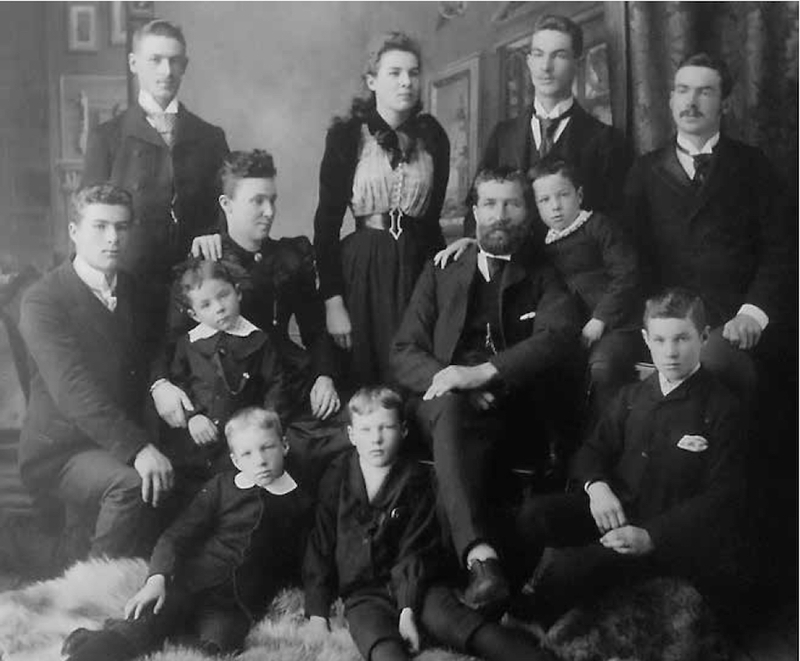 Ten years later, all seven Connell children are still living at home, but young Alex (as he’s listed) has aged 11 years and is now recorded as being born in 1899. His War records are equally confusing. 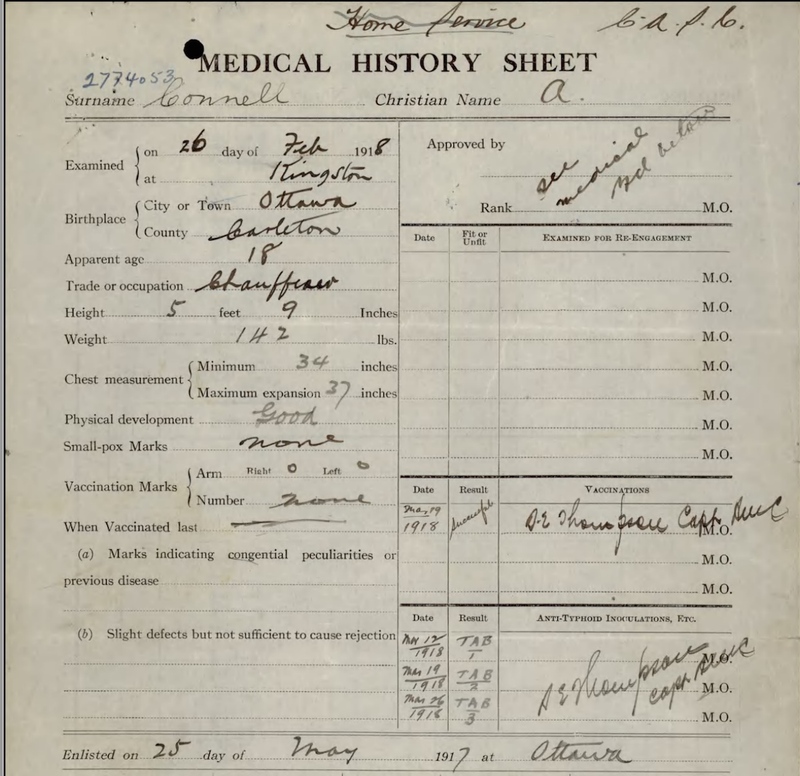 He has a medical history that seems to show he enlisted in 1917, so he may well have chosen to lie about his age. 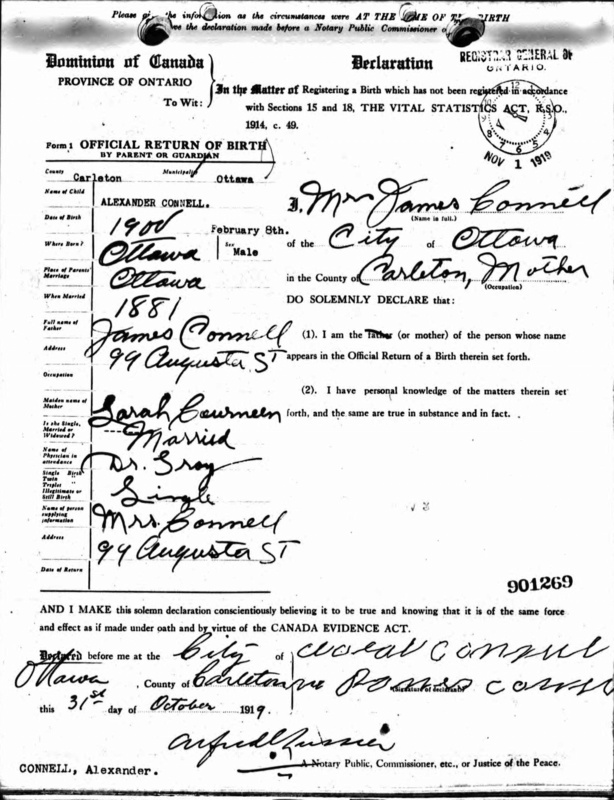 Strangely, in an Attestation Paper apparently signed by him on October 7, 1918, (when he would have been of age) Connell’s date of birth is left blank. 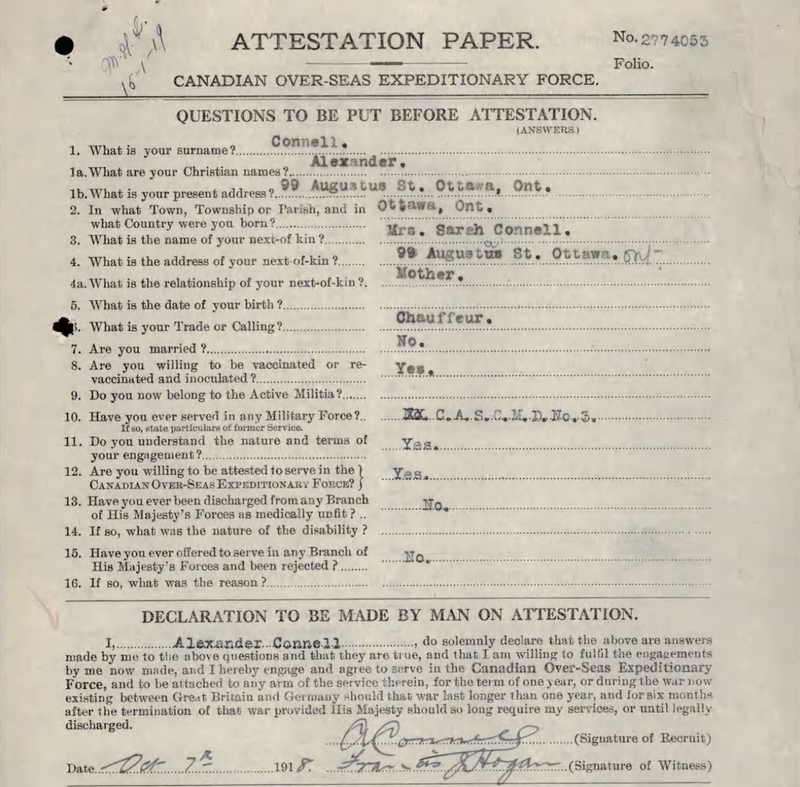 But in another Attestation Paper dated May 9, 1919, (which actually seems to be about the time that he was demobilized from the army) his birth date is recorded as 1899 February 8. Although it’s a little bit difficult to read, it says that Alexander Connell is the legitimate son of James Connell and Sarah Courneen, and that he was “born on the eighth inst.” Inst in this case being an abbreviation for the Latin instante mense, meaning a date of the current month. So, happy 118th birthday Mr. Connell. And do you prefer Alec or Alex? It’s impossible to truly make the conditions equal, but it was very interesting. If you’re in Canada, you should be able to click here to watch it all online if you choose to. Also, although it DID air last Sunday, the CBC web site currently shows it as airing THIS Sunday. It was joined in progress due to the NHL All-Star Game, so maybe they’re planning to run it again in its entirety? Don’t bother clicking on the arrow. It’s just a screen shot, not a video link. Sorry! Among the six segments in the episode was one in which Shea Weber of the Montreal Canadiens tried to match Bobby Hull’s shooting prowess with a retro wooden stick. Weber had his slap shot clocked by radar at 108.5 miles per hour at the NHL All-Star Game a few years ago. But when he used leather gloves and a wooden stick in this episode, the fastest he could manage was 91 miles per hour. 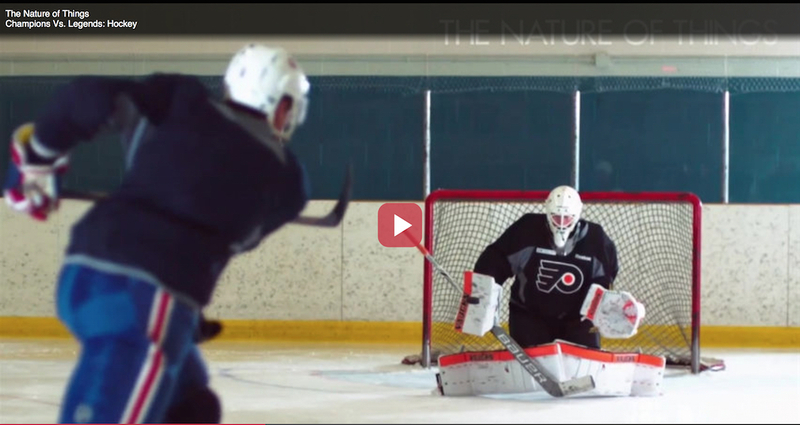 When he switched back to his current stick, his shot jumped to 103 mph. Bobby Hull, as the episode notes, is said to have had his slap shot clocked at 118.3 miles per hour during the 1960s. This was a prominent feature of an article in Popular Mechanics in February of 1968 … though as the show also notes, nothing is said about how Hull’s shot was actually measured. These days, it’s generally conceded that Hull’s shot was never accurately measured, and that any timing device from his era would be unreliable. No doubt he had the hardest slap shot of his era, and likely the hardest of all time up to that point, but it’s hard to believe that Bobby Hull could really have approached 120 mph with a wooden stick in the 1960s. On the other hand, what might have been able to do with a modern carbon fibre stick?!? This Popular Mechanics article reports Bobby Hull’s slap shot being clocked at 118.3 mph. But all this is really just a roundabout way for me to show off a fun clip I found recently in an old newspaper. The article is from The Ottawa Journal on March 30, 1917, picking up a story from The Vancouver Sun. It compares the hockey shot of Didier Pitre to the baseball pitch of Walter Johnson. (Recall that in August of 2016, I posted a story about the documentary Fastball featuring Walter Johnson and the history of measuring baseball’s fastest pitchers.) The comparison is made by Harry Cheek, a journeyman minor league catcher with just two games in the Majors who had recently retired after playing three years in Vancouver. Didier Pitre is not a particularly well-known name these days, but he was one of the biggest stars in hockey during a 20-year career beginning in 1903. He starred mainly with the Montreal Canadiens from the team’s inaugural season in the National Hockey Association in 1909-10 through 1922-23 in the NHL. In his heyday, he was widely regarded as having the hardest shot in hockey. It does make sense that the lever quality of a hockey stick would allow a hockey player to shoot harder than a pitcher can throw. 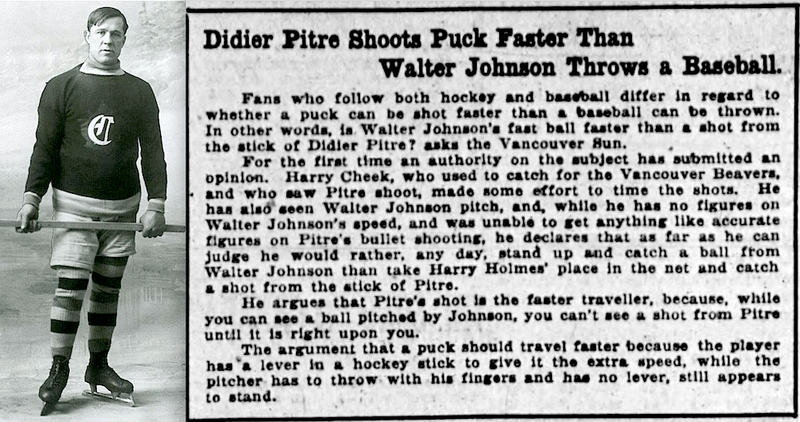 Still, it’s hard to imagine Didier Pitre could shoot a puck in 1917 faster than than the 83 miles per hour Walter Johnson had been measured at in 1912 … not to mention the 93 mph the Fastball documentary says that actually translates to. And it’s interesting that Nolan Ryan’s fastball upgrades to the same 108.5 miles per hour as Shea Weber’s best slap shot. These days, I think it would be interesting to know how many players in the NHL can approach 100 miles per hour with their best shot compared to the number of pitchers who can approach 100 mph with their best fastball.